From a young age we are told that reading is something precious, that we all should do. Our parents bought us picture books and read some exciting fairytales for us before bed, to make us develop our own love for books. When we grew up, we probably had a favorite series of comic books or young adult books that we could read over and over again. Now that we are in high school or college writing essays textbooks are our friends, and we may have lost our desire to read something aside the school program, just because we have no time and desire to do so. 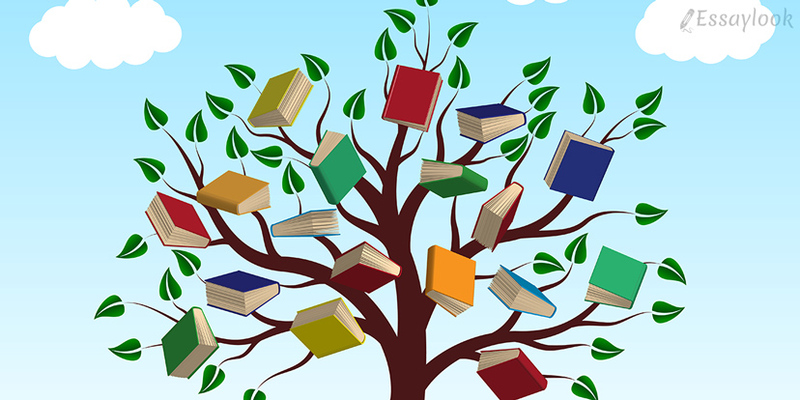 To renew our love for books, let us present you the benefits that you can gain from reading. Take them into account and rediscover a forgotten passion at essaylook.com. It does not matter whether you prefer paper books, audiobooks or digital editions, when you read or listen to the book, you come in contact with a flow of words. Even if you do it passively, your vocabulary expands, and, without noticing it, you are bound to use some words or phrases from books in your everyday life. If you are attentive while reading books, you may even gain the necessary skills to be an editor, as you will constantly see the right spelling of the words, the correct grammatical usage of the words and punctuation. It is extremely efficient. The main reason why our parents have read us books when we were children was to develop our imagination. We found out new things and learned some lessons through characters, the situations they lived and what they were like. Our creativity expanded, and we learned to think in an imaginative way. The good news is that this process does not stop in childhood. Whenever we read books, our imagination expands, our personality develops, and we get new impressions and emotions every day. Imagine what you would be like, have you not read your favorite book. Dreadful, isn’t it? Apart from the fact that if you read a lot of books your personality and imagination develop, you gain a lot of knowledge. In any book you may find something particularly interesting or just something you did not know before. You may scoff and think that reading some bland detective stories or romances may add nothing to your intellect, but the truth is that you may find out some interesting detail about almost any topic, that could stay with you forever. Of course, it is better to choose books that interest you personally. The settings in books often are modeled after real life situations, having a conflict in their core. If you analyze them, you may find a solution to your everyday problems: relationships, financial problems, family conflicts, internal conflicts. Even if there is no thoroughly described solution in the book, you may find out that a character has lived through the same troubles and it may make you feel better. Also, you may be surprised, but fairytales, our first books, are often used in physiological therapy, not only for children, but also for adults. You can read more about this here. A great way to make some new friends is to read books. Like any hobby, liking the same books may bring you closer to other people. Find out who of your groupmates at college or colleagues at work has the same favorite book. If you do not know this person well, you may become friends through a favorite book and learn that you share the same ideals or interests. In such a twisted way, a book will become a recommendation to a person. To summarize, we have presented some benefits of reading. They included gaining knowledge, finding joy in life, making new friends, developing your imagination and finding a way out of difficult situations. We hope that you have gained some motivation to pick up a book that you wanted to read for a long time and start to read it right now!